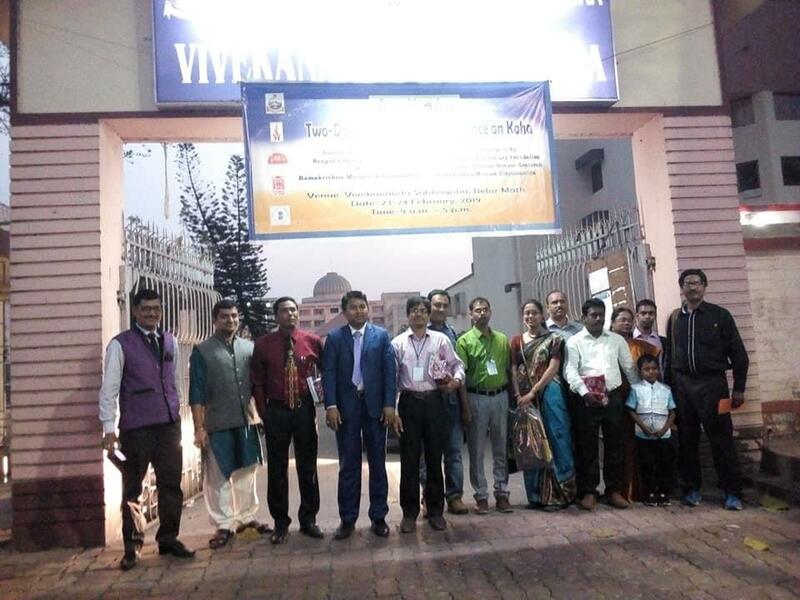 A group of Library professionals attended the International conference on IndoKoha in India. The conference was held on 23 to 24 February 2019 at Vivekananda Sabhagriha, Belur Math, Kolkata, India. The conference was jointly organized by Bengal Library Association & Ramakrishna Mission Vidyamandira. An eleven member’s library professional team from the different district government public libraries recently successfully completed a study visit in India. A six-day study tour was started on 10 March and ended on 16 March 2019. This tour was sponsored and patronized by of Libraries Unlimited project. 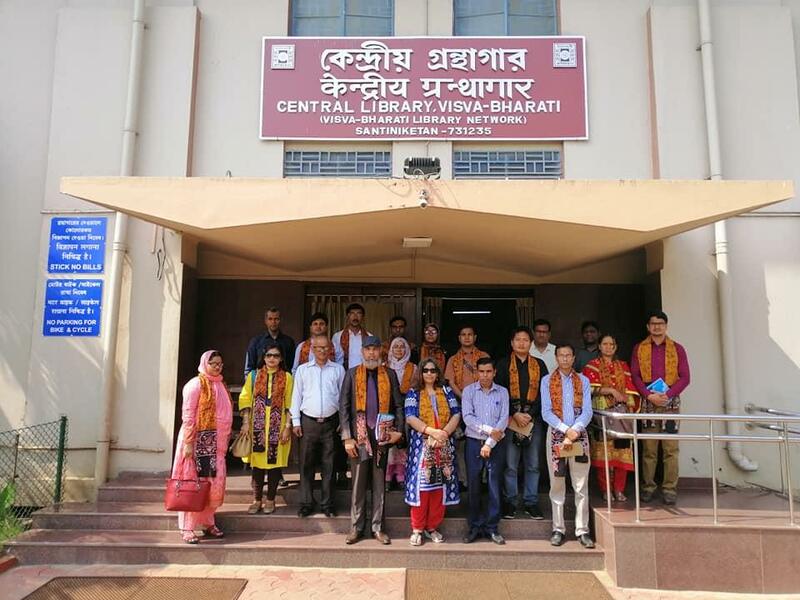 During the tour, the participants visited several libraries including the National Library of India, the State Central Library of West Bengal, Bishovaroti Central Library, Bangladesh Bhawan, British Council Library, Uttar Chobbis Porgana District Government Public Library, Barasat Town Library, Asiatic Society and Bangladesh Deputy High Commission, Kolkata. During the visit, both of the country professionals participated in several discussion sessions, seminar and shared their ideas to develop the library services. The participants reported that the tour was a successful experience comes with many benefits — both professionally and personally. The experiences they received will build lasting relationships with individuals and international colleagues in other countries as well. 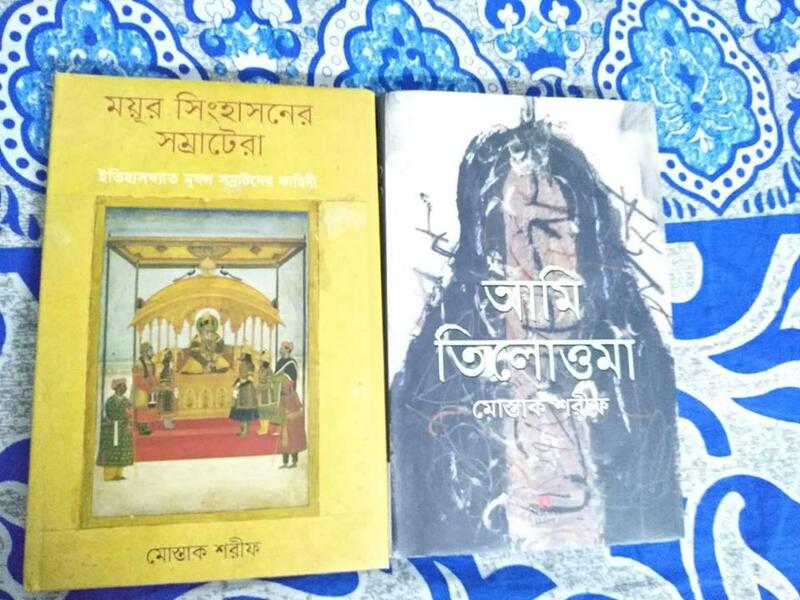 The British Council’s Libraries Unlimited Programme and the Department of Public Libraries have formally inaugurated their year-long Public Library Campaign- “Cholo Gronthagare Cholo, Dekhi Somvabonar Alo” on Tuesday at the Sufia Kamal Conference Room of the National Public Library, Dhaka. 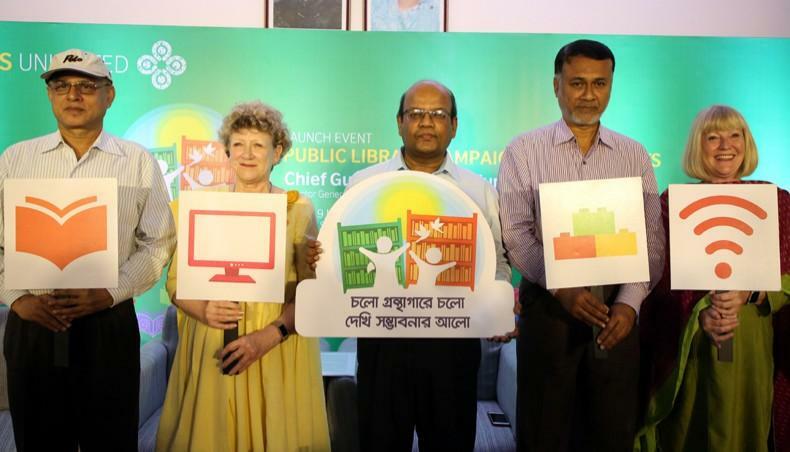 Including the national level print and electronic media, Ashish Kumar Sarker, the Director General of the Department of Public Libraries and Additional Secretary of the Ministry of Cultural Affairs was present as the chief guest, Ms Barbara Wickham, Country Director, British Council Bangladesh and Abdullah Harun Pasha, Director, Department of Public Libraries and Joint Secretary, Ministry of Cultural Affairs was present as the Guest of Honours. Mr A. J. M. Abdullahel Baki, Director, Department of Public Libraries and Joint Secretary, Ministry of Cultural Affairs presided over the event. Good news! When a library professional become a member of the Dhaka Bar Association! 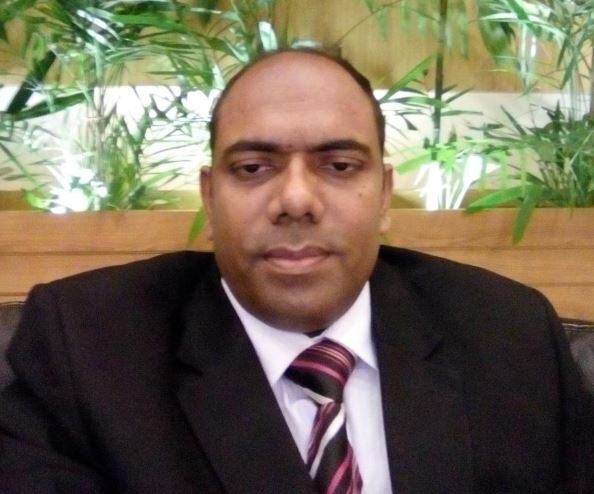 Biswanath Bhattacharjee, Library In-charge of Sir John Wilson School, United City, Satarkul, Dhaka, has recently been qualified in the Bangladesh Bar Council examinations and become a member of the Dhaka Bar Association. His first research article entitled “To Search for an Effective Model of Constitutional Court for Bangladesh: An Analysis” has recently been published in the University Journal of UITS (the University of Information Technology and Sciences). After receiving his B.A. (Hons) and M.A. 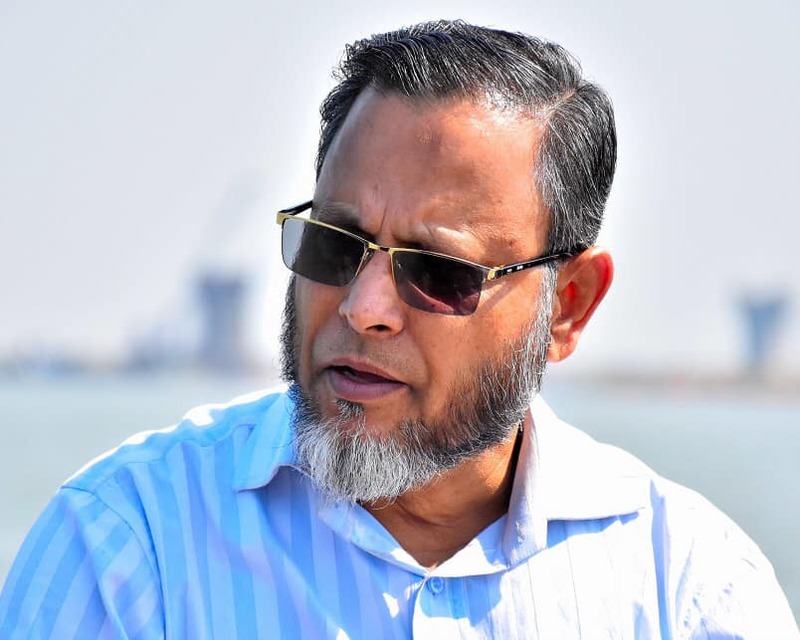 degree in Library and Information Science from the University of Dhaka in 2000, he obtained his second master’s degree in English from the Shanto-Mariam University of Creative Technology in the year of 2009. Later he obtained LL.B. & LL.M. from the UITS respectively in 2014 & 2016. The Librarian Times congratulates BN Bhattacharjee on his Bangladesh Bar Council membership and multi-talent activities. 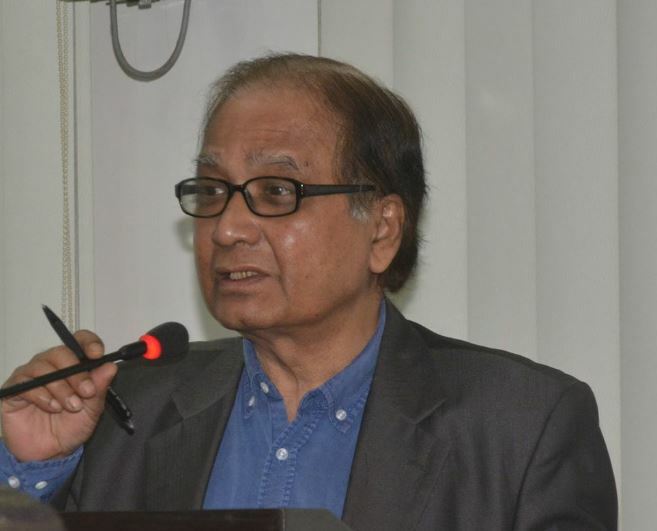 The Library and Information Science (LIS) legend ADM Ali Ahammad is no more! 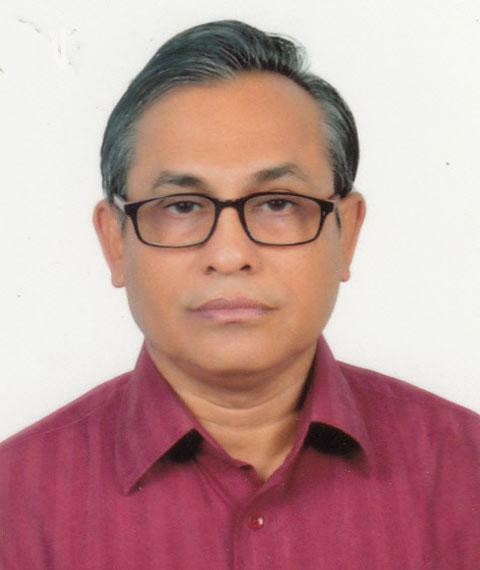 The Library and Information Science (LIS) legend Mr ADM Ali Ahammad, Vice president of Library Association of Bangladesh (LAB); Project Component Lead, British Council Unlimited Project is no more. He died on Sunday, March 3, 2019, at Square Hospital, Dhaka. He had a stroke while taking a training class at the British Council. Since then, he was undergoing treatment at Life Support at Square Hospital. The first namaz-e-janaza of AML Ali Ahammad was held on Tuesday at the Public Library, Dhaka. The 2nd namaz-e-janaza was held in Mymensingh and 3rd namaz-e-janaza was held at his village, Gafargaon. He left his one son and one daughter and wife Anjuman Ara Zakia in his family. 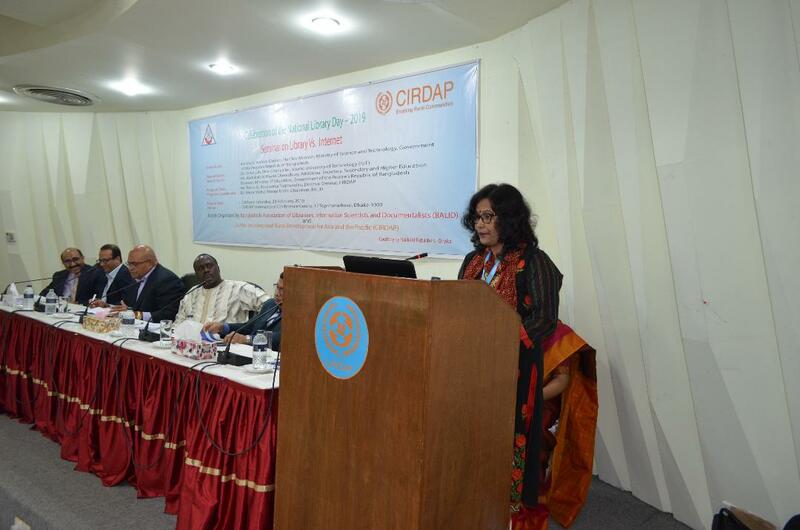 To celebrate “The National Library Day 2019”, CIRDAP (The Centre on Integrated Rural Development for Asia and the Pacific) organized a National Seminar highlighting “The importance of library in the age of internet” in collaboration with the BALID on Saturday, 23 February 2019 at the CIRDAP International Conference Centre (CICC) in Dhaka, Bangladesh. The seminar was chaired by the Mr Tevita G. Boseiwaqa Taginavulau, DG, CIRDAP. Architect Yafes Osman, Hon’ble Minister, Ministry of Science & Technology, the Govt. of the People’s Republic of Bangladesh was the Chief Guest. Dr Omar Jah, VC, Islamic University of Technology (IUT) and Mr Abdullah Al Hasan Chowdhury, Add. Secretary, Secondary & Higher Education Division, Education Ministry, the Govt. of the People’s Republic of Bangladesh were as special guests.Dr. Mirza Mohd Rezaul Islam, Chairman, BALID was as program coordinator. I feel happy to be a part of this first time gathering here in Bangladesh Asia Open Access 2019 Dhaka.